Due to the overwhelming success of the seed lending library at our Forest Glade Branch, we are excited to announce that a seed lending library is now coming to our Central Branch. 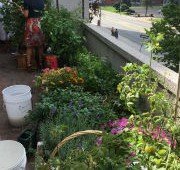 This past summer as our patrons who frequent the downtown branch know, we opened a demonstration garden (pictured) on our balcony fronting Ouellette, thanks to Councillor and Library Board member, Rino Bortolin. The next step is now becoming a reality, but we need your help for a seed library. Your seed library! 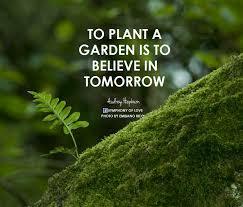 Avid growers of beautiful flower gardens and bountiful vegetable gardens are plentiful in Windsor/Essex. Gardening is cathartic and rewarding, as well as being both practical and healthful when a fruit and/or vegetable garden is planted. 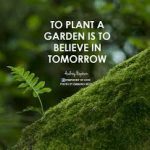 It only makes sense that the next step in gardening is both encouraging and helping people to learn how to save seeds as well as provide an opportunity for knowledge to be shared for the benefit of all growers in Windsor/Essex. What is gained is a stock well suited to our particular climate and soil conditions that will be available to you, our patrons. WPL in partnership with Windsor/Essex County Community Garden Collective is therefore inviting both experienced gardeners and YOU, the “never gardened before but I want to”, for the Central Branch’s inaugural Seed Gathering on Tuesday February 28, from 2:30 – 4:30 p.m., lower level (basement). You are welcome to bring in seeds, (from your stock if you are a gatherer already, or store bought) as well as help in the packaging of seeds on this day. We are looking forward to you coming out and participating in the next rewarding step that WPL and Windsor/Essex County Community Garden Collective is taking part in to enrich our community!